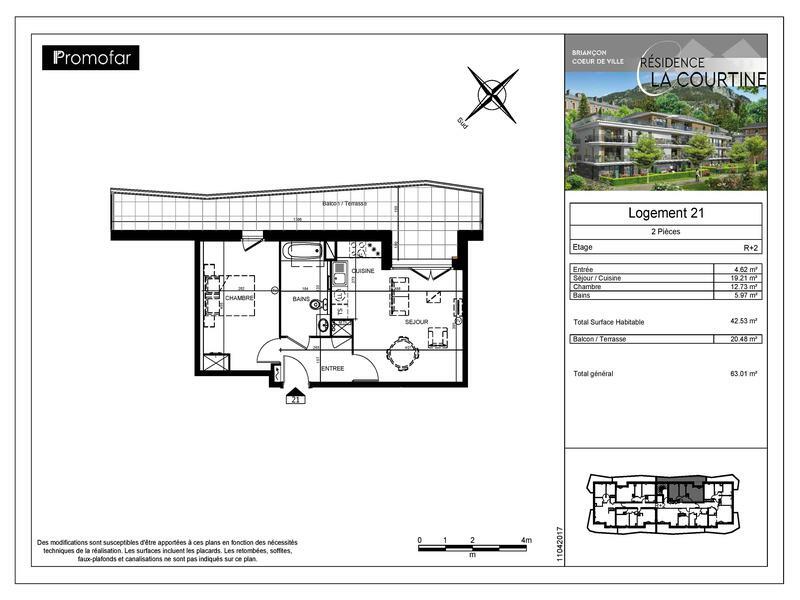 Part of the new “ Coeur du Ville “ project in Briancon, Quality “off plan” apartment with guarantee. The Apartment…. 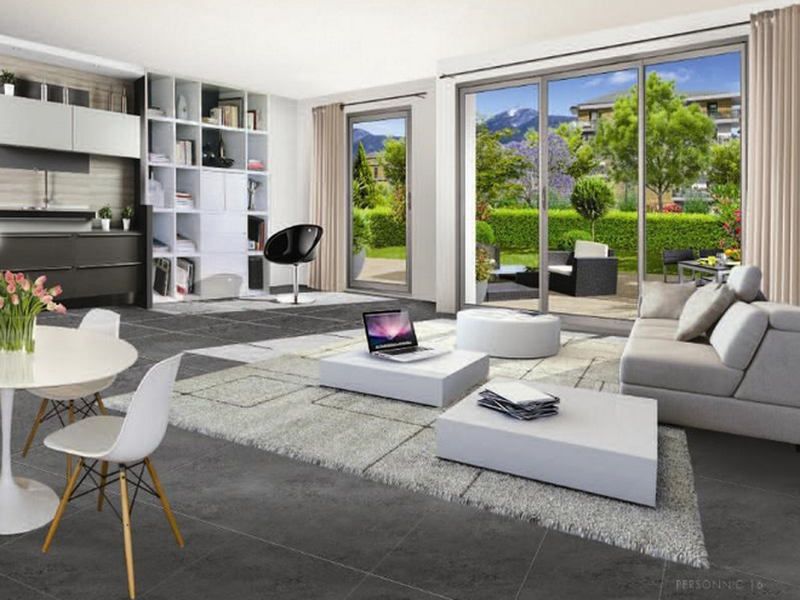 This lovely 1 bedroom apartment is in the Courtine complex which is part of the “Coeur du Ville” development currently under construction in Briancon. The project has begun and the first units will be delivered in spring 2019. The apartment is on the th floor and has a spacious balcony that can be accessed from the bedroom. It comes with a fully fitted bathroom, tiled floors and double glazed windows and sliding doors. 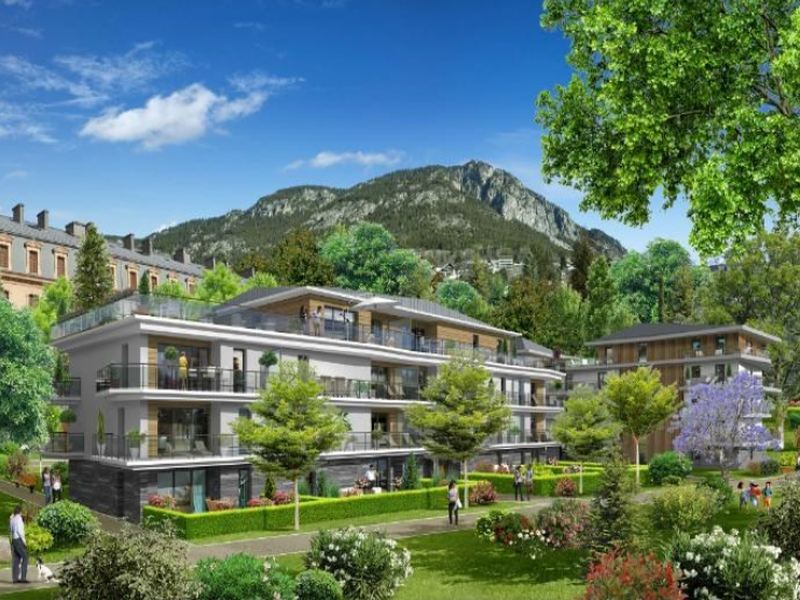 The development is being built to the latest standards of insulation and quality and includes connection to the brand new collective heating system that is being installed in Briancon. This will mean that the apartments will have no need for boilers and that bills will be 30 % less than usual for heating and hot water. The developers encourage the new owners to participate in the choice of colours and tiles etc and will help them make any specific changes during the build that the owner requires. Other units are available with two and three bedrooms. Garages, caves and reserved parking spots are available as options in all of the residences. The Area…. 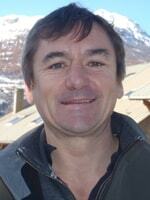 The “ Coeur du Ville “ project is an exciting development for Briancon and has been in the making for many years. Now that it is under way, we can see how it will look and the town eagerly awaits its completion. The project includes wonderful open public spaces including a 2 hectare park and the new market place. Three of the main buildings that have been preserved will also be transformed and made in to public offices, an arts center and a fantastic 4 star hotel. 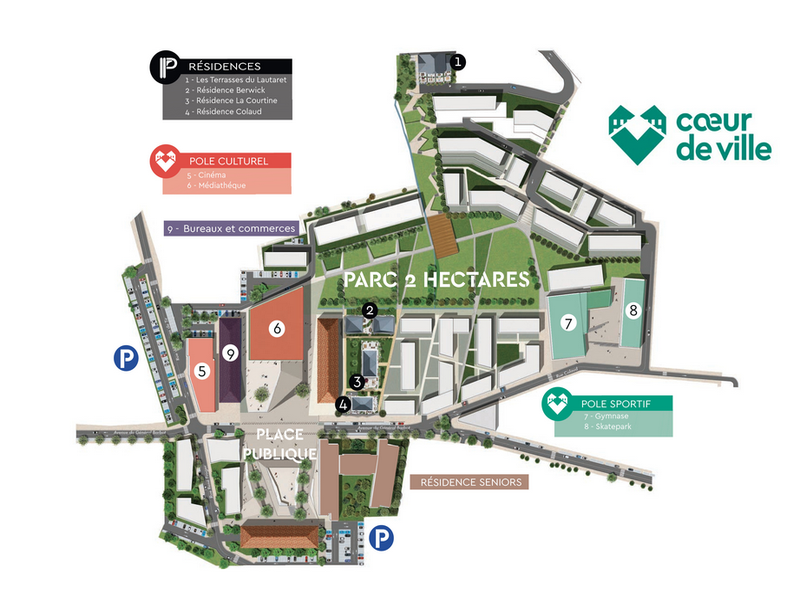 The apartments that are available will be walking distance to all amenities including the Prorel Telecabine, from where one will be able to access the rest of the Serre Chevalier ski domain.